Eye Catching Necklaces for nursing mums! 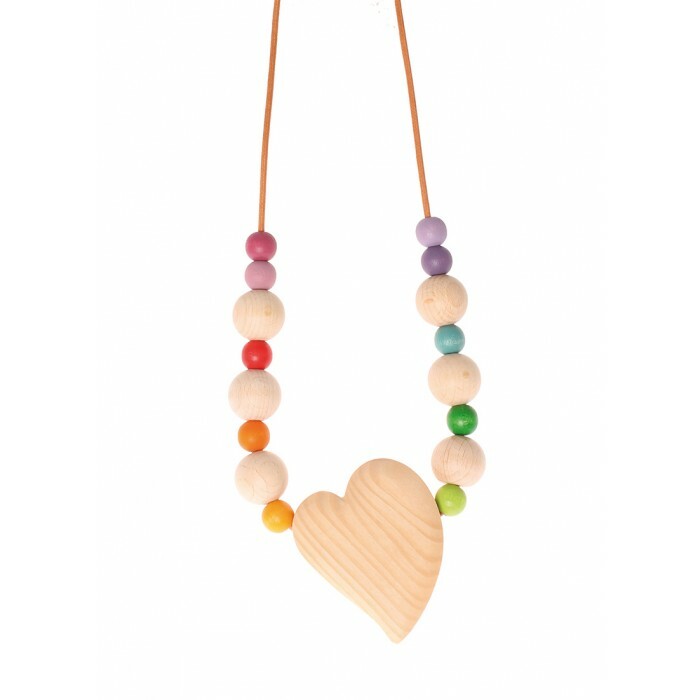 Our Nursing Necklace is a wearable sensory experience that engages a fidgety baby. With its eye catching and easy to grasp design, it will capture babys attention thus reducing distractibility and encouraging a peaceful and relaxed nursing session. 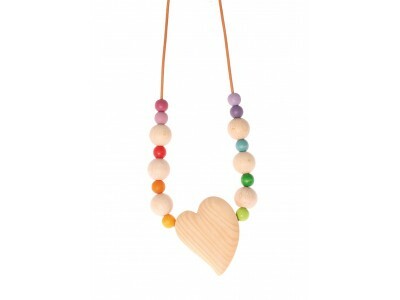 We use wooden beads made of maple wood and the wooden heart is made of lime wood. The colours and the natural oil are certified and completely harmless. The Rose Quartz gives babys hands a wonderful, different sensory experience due to its cold and totally smooth surface. Material: Heart made from alder, non-toxic plant based oil finish, beads made of maple wood, non-toxic water based color stain, Rose Quartz bead. WARNING: This is not a toy. For your child´s safety: Please always make sure that your child only plays with the necklace while it hangs around mother´s neck. No child should be wearing the necklace. No child should be left unsupervised with the necklace.